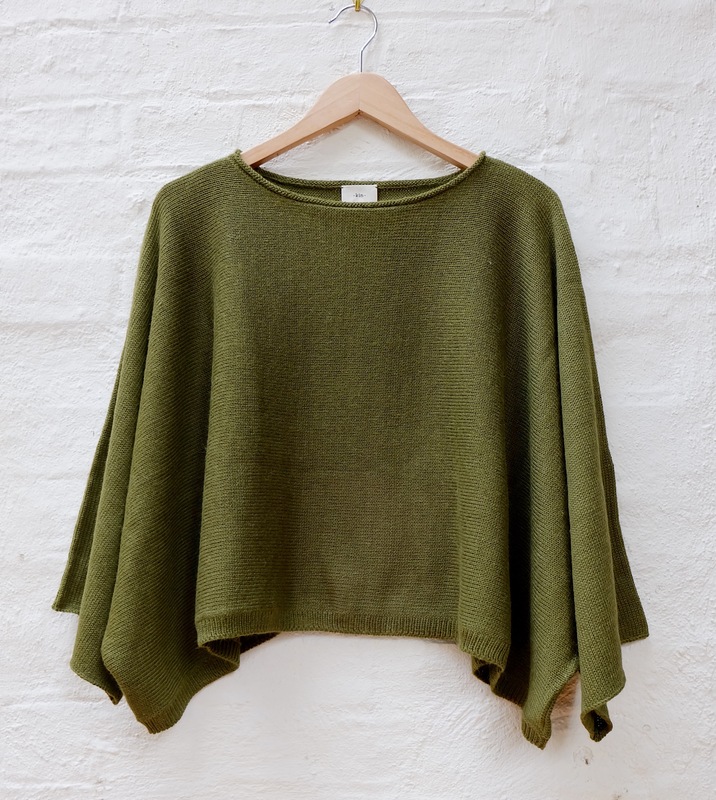 Luxurious layer piece in hand knitted alpaca with a boxy one-size-fits-all shape. Hand wash in cold water and wool detergent. Rinse and gently squeeze out water without wringing. Remove excess water by laying garment flat between 2 towels and gently rolling it.